A correctly functioning lock is the first line of defense against your house. For those who have older locks that don’t work effectively or have been in place for decades, it is to your greatest benefit to replace them. Individuals living or doing business in Glen Echo, MD and the vicinity who require their locks replaced or fixed are lucky. It just takes one call to King Door and Lock Maryland and DC and you’ll be provided with professional lock installation 20812 assistance that surpasses your expectations. King Door and Lock’s techs have been fitting lock sets in Montgomery County, Maryland businesses and homes for several years. We are aware of the unique demands of the area and can easily fit the best locks for any business or home in the 20812 section of Glen Echo. We use all the best lock brands and are able to supply you with the most professional lock repair and installation in Glen Echo, MD. Our experts are seasoned, well-trained, and certified, and can quickly set up the lock set of your liking or repair, rekey, or switch out the ones you have. Our household locks are designed to protect your family members. Just contact King Door and Lock and we’ll assess your property and supply the best locking options obtainable. Do you have young children at home? We can set up locks that they can’t accidentally (un)lock and put themselves and everybody else in the house at risk. 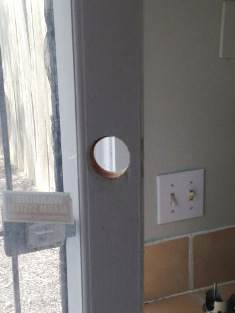 We are able to even put in high tech entry door locks. We also specialize in lock rekeying as well as replacing and fixing any locking mechanism in your residence. If you ever lose or damage your house keys, break your lock sets, or if your locks are starting to display wear and tear, call King Door and Lock. Irrespective of where in the 20812 region your home is, we will promptly arrive at your home and make new keys, or replace and fix your lock sets. There is no need for you to leave your loved ones at risk. A single call to King Door and Lock Maryland and DC and we’ll have seasoned techs at your door in minutes. Is the lock set on your overhead door not in proper working order? Using a functional garage door lock is especially critical for those who store numerous valuables inside or if there is an entrance to your home from the garage. Our technicians are able to expertly and promptly fix and put in garage door locks in Glen Echo. If you have a wood overhead door, our techs advise setting up mortise lock sets. A growing number of business owners and homeowners trust in us for their commercial, garage door, and home lock repair, replacement or installation. Our technicians are dependable, honest, seasoned, and professional. Plus we’re local, offer transparent prices, and use the most up-to-date tools and equipment. Our company offers fast and friendly, 24-hour assistance for household lock sets, commercial locks, and overhead door locks. Regardless of whether you require a lock replaced, front door locks, door equipment, new lock hardware, or lock rekeying, simply call King Door and Lock. Do you need comprehensive service for your door locks and dependable lock installation 20812 assistance in Glen Echo, MD? Give us a call for a free estimate! Our lock experts can easily fix, install, or replace lock sets for your home, garage, or business at competitive prices. 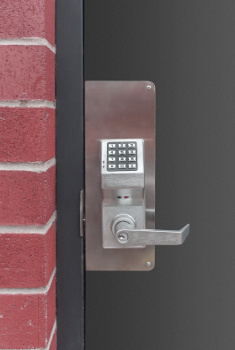 Lock Installation 20812 Service in Glen Echo, MD https://kingdoorandlock.com/maryland-lock-installation/montgomery-county/glen-echo/20812-md/ 3.8/5 based upon 6 reviews.